What’s on the Christmas list for your bub this year? Choosing gifts for your one or two-year-old is always good fun – strike a mix between some keepsakes and play-with-now pieces and everyone will be happy! Browse through our pick of the bunch for babies and toddlers this Christmas. Start Christmas Day in new pyjamas! Baby Essentials has gorgeous organic cotton nightsuits in sweet polka dot or bird prints. Cool and comfortable to wear, they’re perfect for your eco-chic baby. Priced at $38 and available online at Baby Essentials, home to a range of organic cotton must-haves for babies and toddlers. Looking for a beautiful soft toy that is lovely enough to be a keepsake? Look no further than Hazel Village Oliver Mouse from Millie Abroad. This sweet little guy is full of personality and comes with a natty hat, scarf and a sweet-smelling lavender and mint sachet. 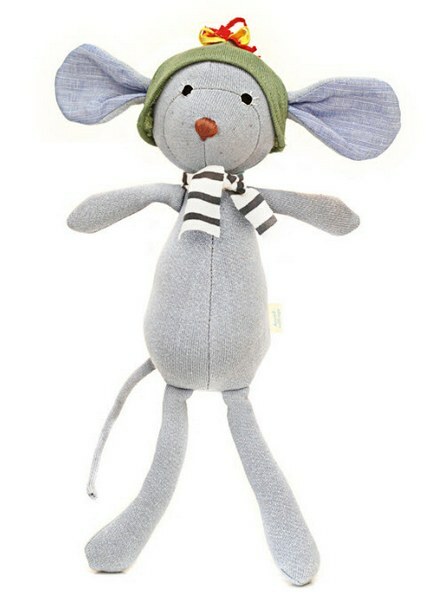 Oliver Mouse is $38 – find him and other Hazel Village characters at Millie Abroad. 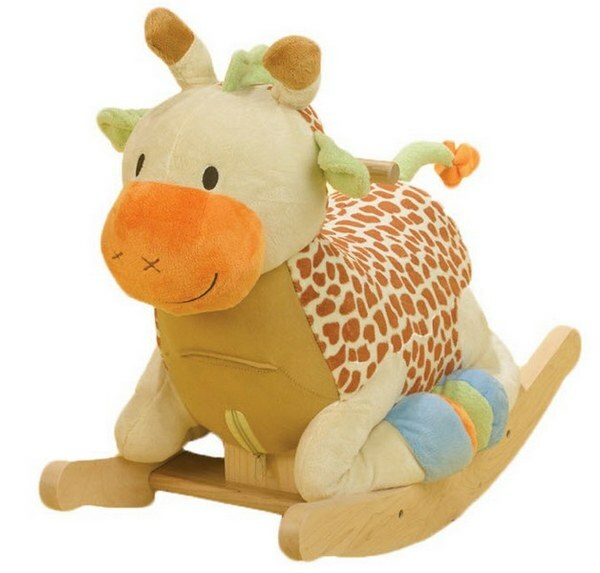 Rock along to the Jingle Bell Rock on this gorgeous plush rocking giraffe from Mantha & You. Featuring a sturdy timber base and soft ‘saddle’, this cute rocking toy is good fun and the perfect nursery piece. Contact Mantha & You directly for more details. Your baby will be swinging to a new festive high if they’re lucky enough to score an awesome Baby and Toddler Swing from Solvej. Superbly crafted, the swing can be used both indoors and outdoors and is suitable for children aged six months to six years – that’s a lot of fun to be had! Solvej swings have many safety features and are made from durable materials selected to withstand the outdoors. 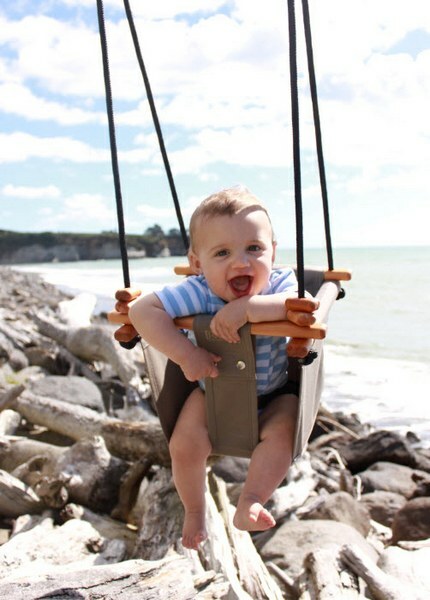 The Baby & Toddler Swing is $220 and is available in six colours directly from Solvej. For parents of two-year-olds, summer time often equals toilet-training-time. Get the job done properly with the sturdy Potty Chair by BabyBjorn. The Potty Chair is robust, sits firmly on the floor and has a high backrest and comfortable, ergonomic design – all very important given that your toddler is likely to clock up quite a bit of time sitting on it! The BabyBjorn Potty Chair is $54.95 and is available from a number of online retailers. Guarantee some wheely good fun with a Wheely Bug from Classic Baby. Wheely Bugs go backwards, forwards, sideways, round and round – basically wherever your toddler wants to take them! Ride on toys have been a favourite for a long time and there’s good reason – they’re a starting point for imaginative adventures and are great for developing balance and basic movement skills. Wheely Bugs are $77.76 and available in a range of cute characters from Classic Baby. Finish Christmas Day with a big, big hug from a gorgeous Huglees friend. The bright, knitted dolls are available in a range of lovable, hugable designs – I have a soft spot for the very sweet Penelope the Pig (because I have a Penelope!) but there’s also cheeky monkeys, super dogs and more characters in the range. Huglees are priced from $24.95.